HY-3021 is a plastic machine with multi-zone of infrared double-heating ovens and positive and negative thermoforming system. 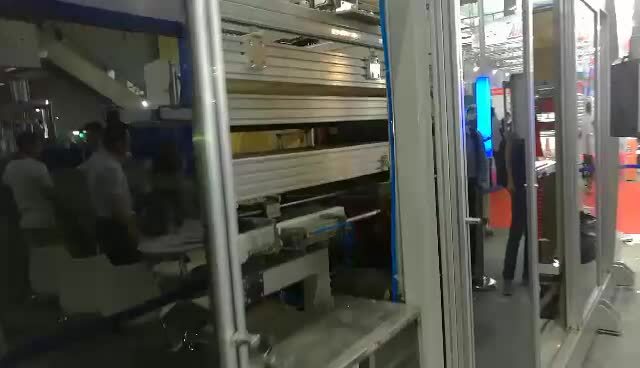 It is equipped with servo motor boosting system and a robot with double palletizing system, which ensure the products can be stacked steadily and accurately. Meanwhile it also has fault diagnosis system and advanced in-mold cutting technology to trim the zero-error products. And it is suitable for BOPS, PP, PET, PVC, PS, HIPS sheet materials to produce all kinds of high transparent, high tensile turn-up and flat products, such as food box, bowl, plate, lid, tray for daily necessities, medicine and drugs, wine, electrical parts and etc.